In September, Bistro Morgan hosted a doughnut pop-up in Windsor stocked with 10,000 deep-fried, iced ad filled pastry rings. They sold every last one over the eight day period, leaving Melburnians to fall into a sweet and satisfying sugar coma. Following the success of the pop-up, Bistro Morgan's doughnuts and milkshakes are getting a permanent home at the same site on High Street, Windsor. The Bistro Morgan formula won't change: those Golden Gaytime, salted caramel and popcorn, and white chocolate and raspberry rounds will be in pride of place, alongside a selection of new and exciting flavours and weekly specials with matching milkshakes. Feeling skint? That's no barrier to a sugar high because they're giving away free doughnuts on Mon, Dec 19 from 2-4pm to celebrate this crazy milestone for the highschool baker. 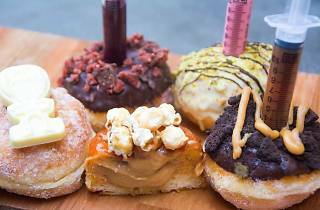 Morgan Hipworth, Melbourne's Doughnut Prince, has been in the doughnut game for two years. 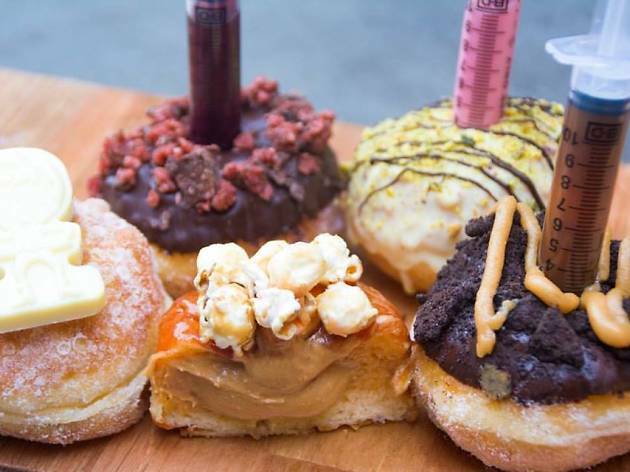 At the tender age of 15, he juggles school work with a wildly successful doughnut business (which takes up at least 50 hours per week) and supplies his sugary creations to thirteen cafes and restaurants around Melbourne (including Stagger Lee's, Second Home and Kitty Burns). He already has 1,500 doughnut flavours in his sugary portfolio. So what is it that makes a good doughnut? According to Morgan, it's "it’s all about good eggs, good butter and not skimping on the ingredients. Instead of giving them half a Kit Kat I’ll give them a full one. It’s all about making it taste better than it looks". For more sweet treats, get down to one of Melbourne's patisseries.